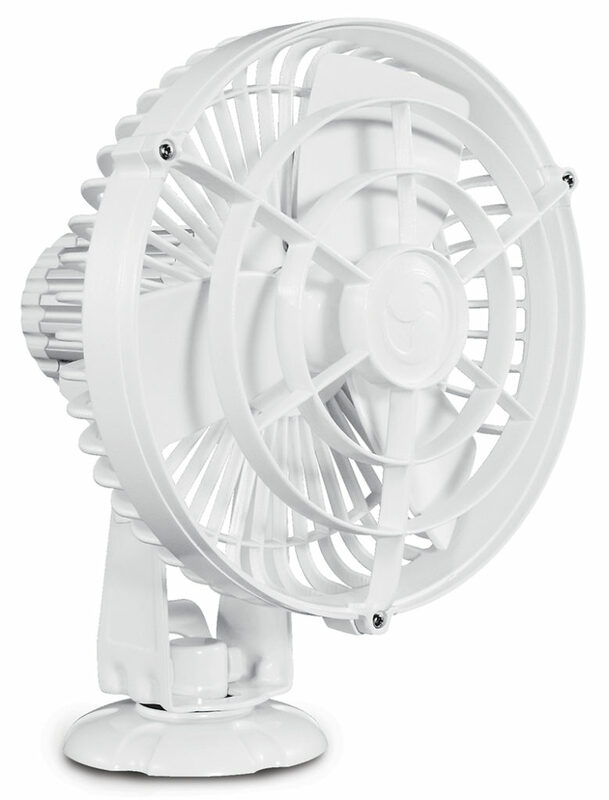 The Model 817 Kona 12v fan is designed to hold up in the most demanding marine conditions. Featuring a watertight motor and constructed of extruded aluminum, UV-stabilized plastic and stainless fasteners, the Kona can survive environments such as a wheelhouse dash or an exposed bridge or cockpit where splash and spray can get to it. The three-speed motor draws only 0.21 amps on low. A standard lighter-plug adapter makes the fan portable, and a suction cup or bracket mount allows for a more permanent installation.